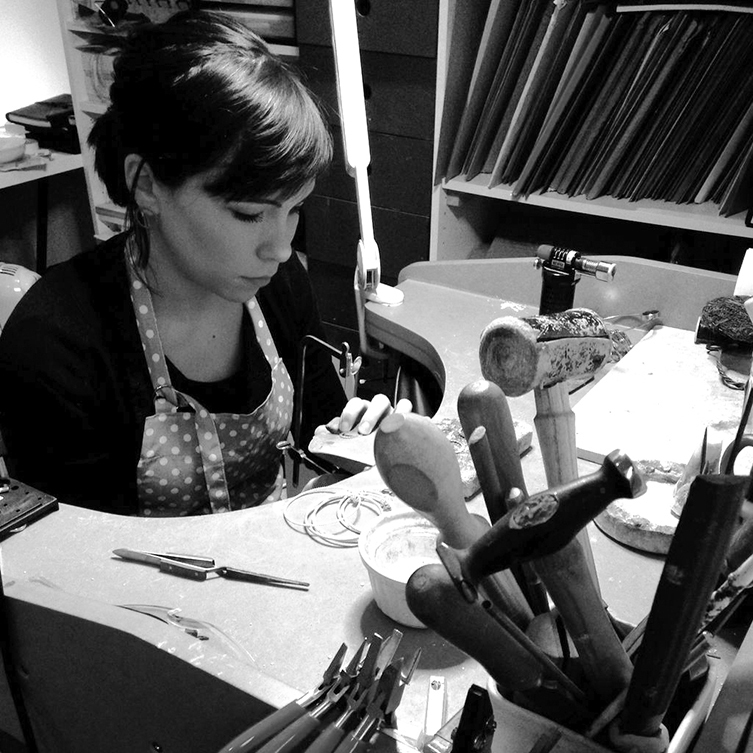 Leila Swift graduated from Sir John Cass in 2010, and now designs and makes jewellery from her studio in South East London. She works mainly in silver, gold and semi-precious stones, taking inspiration from intricate and everyday patterns that are often overlooked – like antique lace and wrought iron railings. As well as her own designs, Leila also regularly takes on commissions. If you'd like to visit Leila's studio or you have an idea for a bespoke piece, please get in touch.